I haven’t mentioned them yet on this blog but we have chickens. They’ve recently begun laying eggs! We also have some ducks one of which has just started laying too. We’ve gotten several eggs; enough to keep Charles in breakfast on work days and a few to pass along to mom and dad. 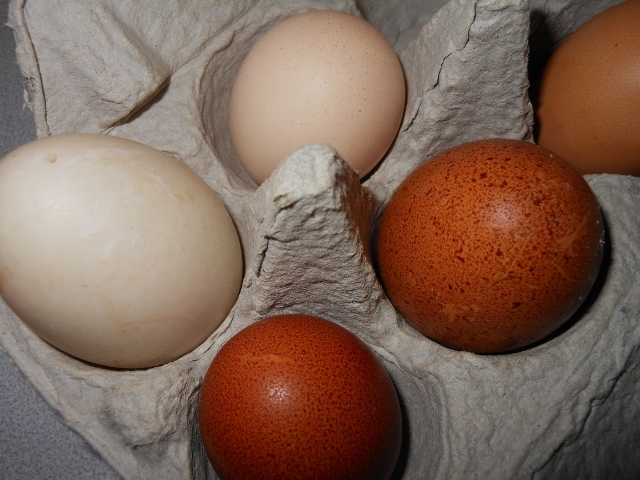 The duck eggs so far are about the size of a large chicken egg; most of the chicken eggs are small or medium. They seem to vary from egg to egg a bit. You may notice in the picture below the 3 eggs; The duck egg is the larger yolk with the clear white. The chicken eggs have a light yellow tint to the white which you wouldn’t normally notice but with the duck egg in the bowl you can see the contrast. 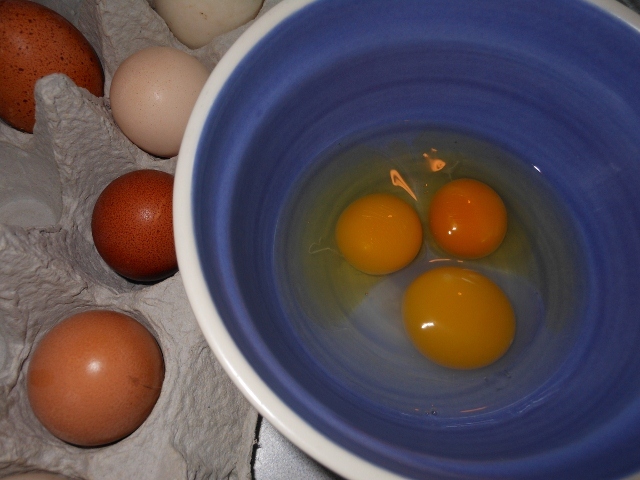 The darker yolk came from a lighter shelled dark egg. In skillet cook spinach till wilted; set aside. Add a bit of oil or butter to empty skillet. 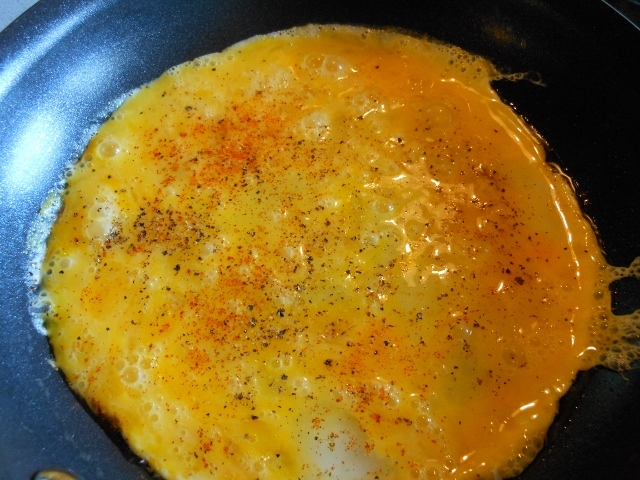 Pour eggs into skillet and season; flip eggs over and break apart once eggs have begun to set up. 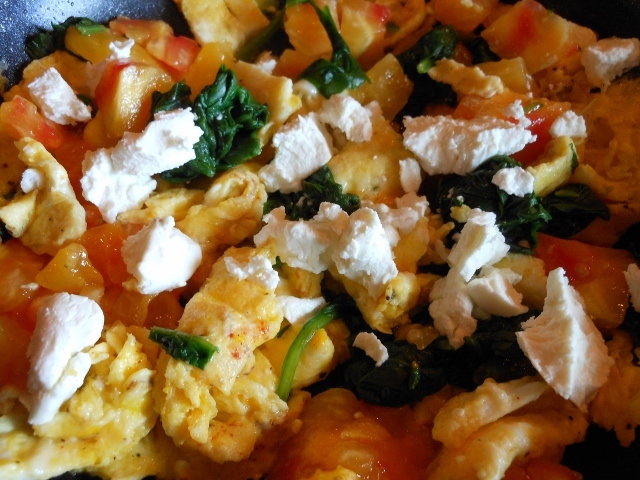 Once eggs are cooked return spinach to skillet with eggs and stir in diced tomato; sprinkle with goat cheese just before serving.